Dr. Jodi Cohen grew up on Long Island in New York. She graduated from SUNY Binghamton in 1985 with a bachelor’s Degree in Chemistry. She received her Doctorate in Dental Surgery in 1989 from SUNY Stony Brook where she graduated as the top female in her class. She also completed a one year Post Graduate Residency in General Dentistry at North Shore University Hospital in Manhasset, NY, part of Cornell University Medical College. 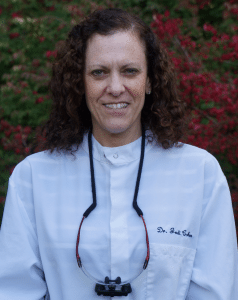 In 1990 Dr. Cohen moved to Connecticut and joined North Branford Dental Group. When she’s not working, she enjoys playing tennis, reading, traveling and mostly spending time with her husband and two children.